Two interesting surveys this week, one relating to children’s top reading choices and parents’ views, the other to teachers’ favourite books. 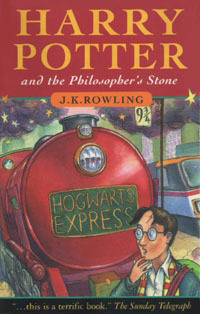 In a survey for International Children’s Book Day, Harry Potter came first in the children’s vote for the best ever fictional character. It was a close run between him and the Gruffalo: 38% of the votes went to Harry Potter, 34% to Julia Donaldson’s wonderful creation. The Cat in the Hat was not far behind, with 28%. Best ever children’s author in the children’s view was Roald Dahl. He got half the votes, while J K Rowling got 30%. Surprisingly, Beatrix Potter came third, with 20%. Parents also put Dahl first, with Enid Blyton in second place and Rowling third. They too voted for Harry Potter as the best character, followed by the Famous Five (I’m not sure how five individuals count as one best character), then the BFG. Another interesting finding related to e-readers. 29% of parents said their children owned them, but 88% still read printed books.